Ten things not to say to someone with cancer - a brilliant post by a young woman whose fight with breast cancer ended recently. Thanks to Angela Mulholland from CTV for steering me to Leanne Coppen's blog, Living with Breast Cancer. Registered dietitian Sybil Hebert takes the Dietitians of Canada to task for their corporate Big Food sponsorships. I'd read this one quickly! I bet it's already set off war drums over at Dietitians of Canada. Important to note, this is a real dilemma with no easy solution. 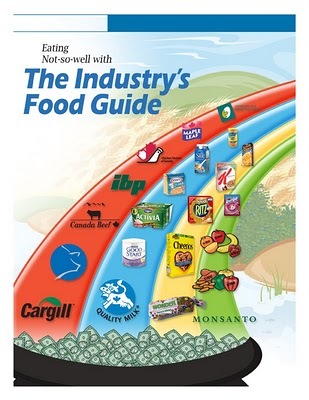 Who else is going to fund Dietitians of Canada other than the food industry? And yet, if the food industry steers the ship, who's going to trust the voice of the captain? Dr. Arya Sharma comments on parenting styles and adolescent obesity risk. The newly doctored Peter Janiszewski from Obesity Panacea covers research asking how much salt is in your fast food?